I love pizza. Although never been to the Scandinavia, Sweden should be cool. 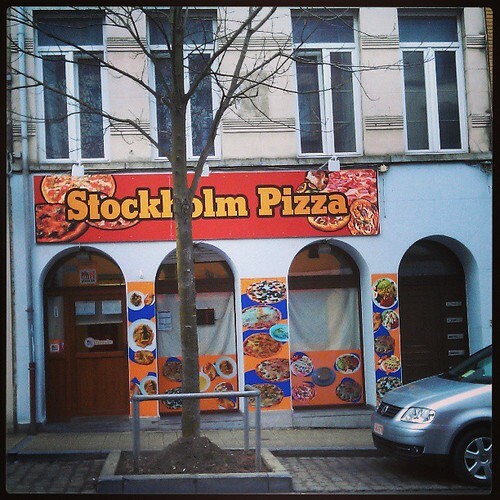 Here in Brussels, the Turkish neighborhood this pizzeria is called Stockholm. The looks nor the name does not relate to any Italian roots. I guess it will also not taste. So be ware the Stockhol syndrome if you want to try out.